Ah Yeah's first win, unbelievable looks! EXID receive their first award for Ah Yeah! The girls perform their new song Ah Yeah on MTV The Show. The girls win their first trophy with Ah Yeah on the show. 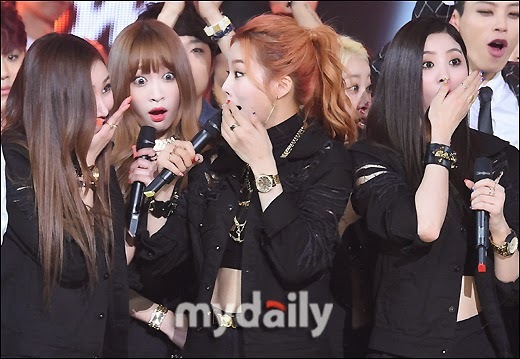 The girls seem surprised when they're announced as the winner, especially Hani, more photos below, congratulations for winning!